Beijing, China, 12 December 2017—As a landmark ban on domestic ivory trade comes into effect in China at the end of this month, TRAFFIC and WWF surveys found that the ban has widespread support from a majority of consumers surveyed and that it is likely to substantially reduce ivory purchase. However, many citizens are unaware of the upcoming ban. The ban is widely hailed by the international community as a game changer that, if rigorously implemented, could help to stop the poaching and reverse the decline of wild African elephant populations. This year, TRAFFIC and WWF commissioned the largest-ever ivory consumer research by GlobeScan, an independent research consultancy, to discover the nature of ivory consumption in 15 surveyed cities with relatively active ivory markets in China. Research found that ivory purchase has dropped in the last three years in cities like Beijing and Chengdu, where regulations might be stricter and there is more awareness about the upcoming ivory trade ban. However, ivory buying has moved from these metropolitan cities to regional cities in China; this shift in demand can be expected to continue. 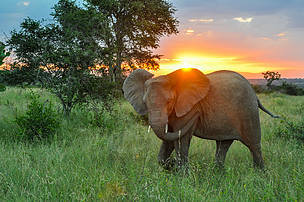 TRAFFIC market observations suggest that many consumers have little knowledge about the legality issues around ivory. Improving understanding and knowledge around the ivory trade ban is therefore essential and will provide a foundation for follow-up consumer messaging targeted at changing attitudes and specific behavioural practices, based on evidence and insight. The survey found that close to 1 in 5 consumers is a persistent buyer of ivory, implying that they still intend to purchase after the ban is implemented. However, 62% of these persistent consumers are willing to reconsider their future purchase, suggesting the potential to make them change their mind with impactful messages. “In this context, raising awareness about the law and the consequences of violating the law could provide an important enabling environment for an ivory trade ban in China to influence consumer behaviour,” said Zhou Fei , Head of TRAFFIC China Programme and WWF China Wildlife Trade Programme. According to a TRAFFIC report released earlier this year, Revisiting China’s Ivory Markets in 2017, the number of ivory items offered for sale—in both legal and illegal ivory markets in China—has declined alongside falling ivory prices after the announcement of the ban. “It is gratifying that China’s domestic ivory ban is on track and in place now. It is vital to be vigilant in monitoring its impacts as many challenges remain, such as ensuring stockpiled ivory is prevented from illegally entering markets at home or abroad,” said Zhou Fei. TRAFFIC and WWF are working to support ivory trade decisions under the Convention on International Trade in Endangered Species of Wild Fauna and Flora (CITES), which calls for closure of all legal domestic markets for ivory that are contributing to poaching or illegal trade. “Given the leadership role that China plays across Asia-Pacific, we expect the Chinese ban to set an example and catalyse the closure of ivory markets across Asia,” Zhou Fei said. “TRAFFIC and WWF support ivory trade bans by these countries, especially China’s neighbours, and stand ready to assist in implementation and to help evaluate future impacts of such a ban in China and around the world.” The call comes amid evidence that domestic ivory markets in Viet Nam, Cambodia, Lao PDR, Japan, and Myanmar are increasingly catering to visitors from China. Since 2002, the reports of the Elephant Trade Information System have consistently identified China as the leading destination for ivory consumption globally. China’s actions, more than those of any other country, have the potential to reverse the trend of elephant poaching and illegal ivory trafficking and have a significant impact on the future survival of African elephants. TRAFFIC, the wildlife trade monitoring network, is the leading non-governmental organization working globally on trade in wild animals and plants in the context of both biodiversity conservation and sustainable development. TRAFFIC works closely with its founding organizations, IUCN and WWF, making a critical contribution to achievement of their conservation goals through a unique partnership.